Alston, NCD, Aug 17 – There has been much shock and alarm in Sirocco this evening after it was discovered that State Highway 17’s days are numbered. News filtered through this evening that the New Zealand Transport Agency (NZTA) has decided to revoke the State Highway 17 (SH17) designation of the former stretch of State Highway 1 that linked Auckland’s North Shore suburb of Albany with the quiet village of Puhoi, about twenty kilometres to the north. 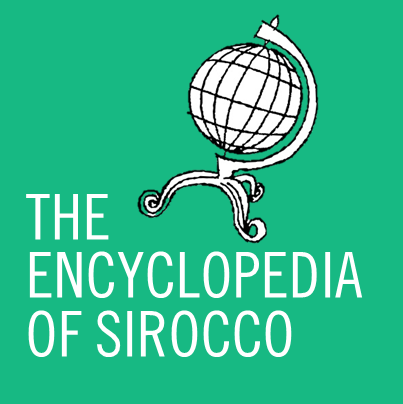 Sirocco’s well-known Highway Seventeen Movement has expressed its outrage in a statement released a short time ago. State Highway 17 is a historical road. It was the original road north. Before we had that ribbon of concrete we call the Northern Motorway, we had this road that wound through busy Albany streets, through deep valleys and soaring ridgelines, through gentle rolling hillside and alongside some of Auckland’s finest beaches. To abandon this magnificent highway is tantamount to murder. State Highway 17 is an extremely important highway for northern Auckland, and it is absolutely appalling that the New Zealand Transport Agency has taken such a backward step. Many Siroccans have also voiced their dismay at the decision to revoke State Highway 17’s status. In addition to being a very much loved highway, the number 17 is seen by some as beneficial. State Highway 17 will lose its designation due to the NZTA’s unwillingness to fund two highways that run parallel to each other – and cross over and under each other twice. It is known that in the coming weeks the existing State Highway 17 signage will be dismantled and by the end of the year the highway will be gone forever, creating a fourth gap in the State Highway 1x series – currently there are no State Highways 13, 15 or 19, although State Highway 15 was replaced by State Highway 15A in 2004 when the portage facilities of the Northland city of Whangarei were moved south to Marsden Point. 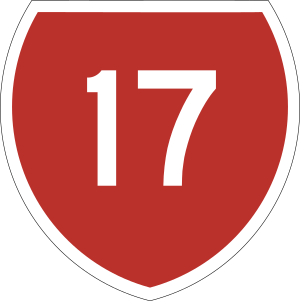 Premier Daniel Anderson stated that if the State Highway 17 signage is to be auctioned then he will personally try to obtain as many items as possible for national display, especially the revered State Highway 17 shield (see above). A special 17ȿ coin or §17 note to commemorate the highway has not been ruled out. It has not been confirmed if Sirocco will formally be taking any action to try and save the highway.